Stud bolt is opposite, also known as the screw.Han furniture part name. Is the Ming and qing dynasties era.Gb is not found in the corresponding standard, corresponding DIN975. Ming and qing dynasty furniture part name.Is opposite, also called a screw.Gb is not found in the corresponding standard, corresponding DIN975. Different location to the name.Generally refers to surface box of a component that set up the connection between their legs.The furniture of waist is in the main connecting parts below the waist.In other parts of the article as teeth in general.In addition, also used in construction, the most decorated with. Different location to the name.Generally refers to surface box of a component that set up the connection between their legs.The furniture of waist is in the main connecting parts below the waist.In other parts of the article as teeth in general.In addition, also used in construction, the most decorated with. Stud bolts are very commonly produced in.The length of the threaded rod shall be measured.overal,from end to end. All terms used in this Standard are defined in ASME B18.12. Threads: Unified threads shall conform to the requirements of ASME B1.1 For UNC and UNF threads ,Class 1A will be furnished unless otherwise specified. Plated threads shall conform to ASME B1.1,Class 3A high limit (basic) and the low limit requirement of the before-coated or plated thread class. Class 2A threads shall be used on 8UN threads and at the manufacturer's option for other series, and for sizes where 1A is not applicable. 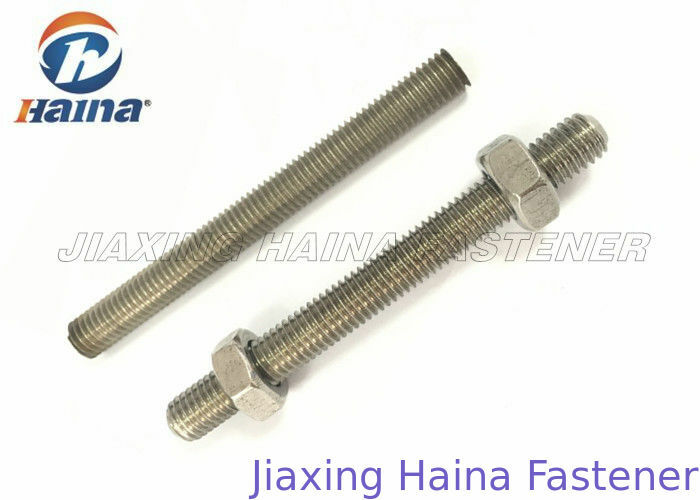 Our company can offer high quality professional fasteners for the industrial fields, such as automobile, building, communication, electron, energy, electrical home appliances and furniture, etc. Throughout many year's development, we can guarantee the high quality of our all products. 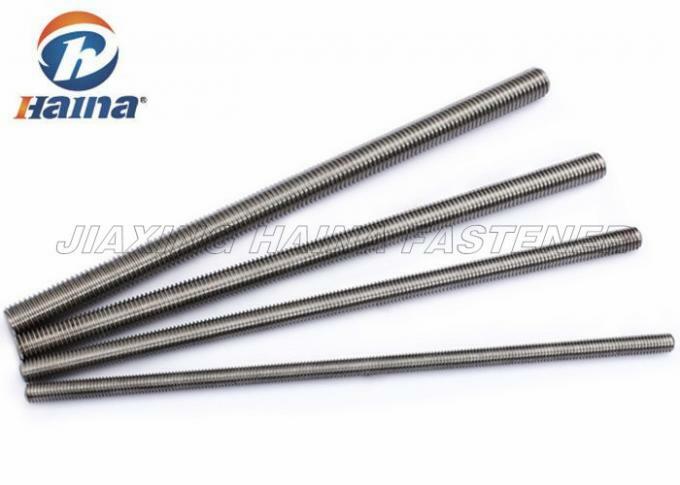 Full thread rod always be use for structural Steel, metal Buliding, oil&Gas,mechanical machine, automobile, silo,wind energy,tower&pole etc. Dimension Metric size from 6mm-100mm, Inch size from 1/4-5"
Structural Steel; Metal Buliding; Tower&Pole; Wind Energy. 4. Stainless steel and carbon steel big size bolts and nuts are Super Quality and Competitive price. 5. All DIN or GB and part ANSI/ASME Standard stainless steel fasterners are in stock.